It’s April and Spring is in the air! Karen Y won our scent contest at our Ladies Night in March, with this fresh, light, sweet scent. It has notes of White Tea, Mango, Cherry, Papaya, Freesia and Ginger. So, so good! Grab yours before it’s gone! The April Limited Edition scent was created at our Ladies night, by Karen Y, on March 21st. We had so much fun that night and fabulous scents were created. 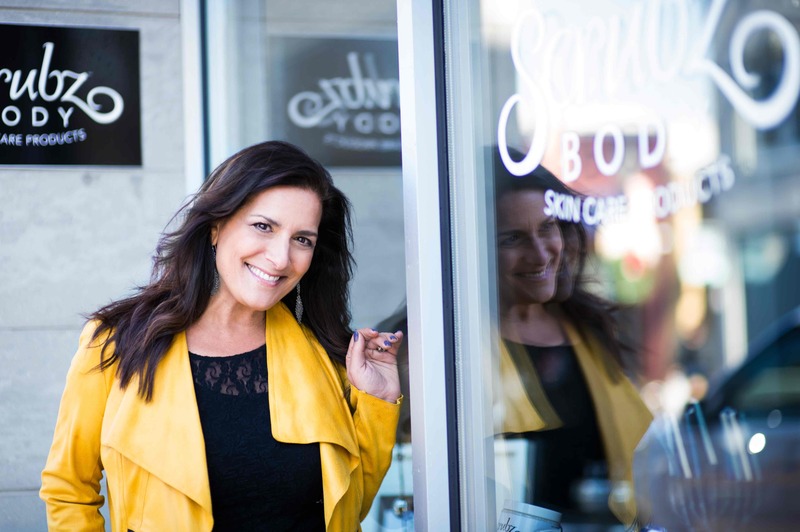 ScrubzBody Scrub can be used on every body part, public and private. Yes! even there. Not kidding. 🙂 No, really. It cleans dirt better than soap and polishes away dry skin. Dampen your skin. 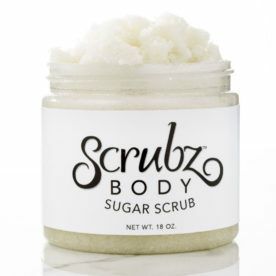 Use about a quarter sized amount of ScrubzBody Scrub and spread out on both hands. No magic here, it just prevents the scrub from falling in the shower and ensures an even application. Polish, clean and scrub all your happily willing body parts. Repeat for other parts. Step back under the water and rinse all the sugar off, thoroughly. If shaving, now is when you shave, using the natural oils instead of shaving cream. Pat or towel dry. Massage the natural oils into your skin. You are now fully clean, polished and moisturized.